Welcome to the Jane Austen Regency Week, a 9-day festival held in Alton and Chawton in Hampshire (UK) each year. Tickets are now on sale from the box office at Alton Community Centre +44 (0)1420 85057. The festival dates are Saturday 22nd - Sunday 30th June 2019. The 30 events will include the popular regulars including Alton Regency Day, Alton Regency Ball, talks, music, walks, tours and more. We are also pleased to be able to include the second dancing event on the 29th June, added just recently. 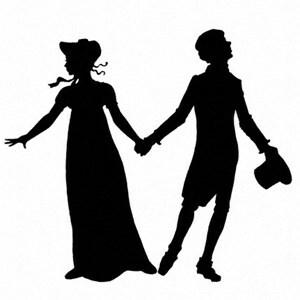 We invite you to explore this site to find out about the Jane Austen Regency Week and we look forward to welcoming you to Alton and Chawton in 2019. The Jane Austen Regency Week celebrates both our local internationally-acclaimed writer, and a very interesting period of history, encouraging people to explore their cultural heritage. The Jane Austen Regency Week is run on a non-commercial basis by a group of volunteers and participating organisations. It is funded through ticket sales, a grant from Alton Town Council, Sponsors and advertising. In 2019 we are being sponsored by 'Austen Heritage' and Caroline Jane Knight. For more information, please see the Sponsors page of this website.